Her billionaire boss is her former lover. And now, she’s blackmailing him to experience what it is to be loved. 24-year-old Willow Somerset is taking the greatest gamble in her life. 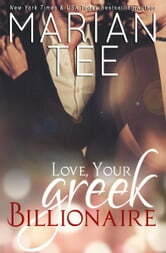 She’s giving herself seven days to make Stavros Manolis realize how much she means to him. But if nothing changes, she promises herself that it will mean goodbye…forever. I am loving these two characters. Willow and Stavros certainly know how to bring the drama. Trying to find their footing in a journey through insecurities, mistrust, lies, manipulation and betrayals is hard. Yet although they keep hurting each other, they can't seem to stay away from one another. Their heartbreaking and frustrating story is a must read.